Here's where we'll be in 2018. 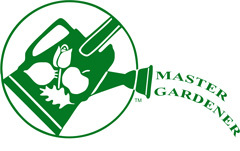 Our Master Gardeners are available at all the upcoming events to answer your questions. March 03, Seedy Saturday - York Region Food Network, 200 Doug Duncan Drive at the Newmarket Community Centre, from 10:00 a.m. - 2:00 p.m. This year's event will feature: community seed exchange, seed library, seeds, gardening and holistic living vendors, children's area, and an interactive activity space. March 19, Monday at 7:00, Bradford West Gwillimbury Public Library, 425 Holland St. W, Bradford, ON L3Z 0J2, in the Zima Room, Nancy Louwman with Ruth Gemmell will be speaking. The Topic: Seed Sowing and Seed Saving - Easy seed saving and starting techniques for the home gardener! Grow your own vegetables and flowering plants for less money and better results. May 12th - Oct. 07 - Markham Farmers Market - Upcoming dates when we will be visiting the market will be posted throughout the summer. May 26-27, Schomberg Fair - Looking for plants grown by our Master Gardeners, come visit us at the Fair. We specialize in Heirloom tomatoes while providing information and answering your gardening questions. Sep 27-Sep 30, Markham Fair - Markham Fairgrounds, 10801 McCowan Road. Find the Lake Simcoe South Master Gardeners in the Home Craft Building amid the floral show display. Oct. 16, Newmarket Garden Club - 200 Doug Duncan Drive at the Newmarket Community Centre - Three of our Master Gardeners will be on hand to answer gardening questions.